At Bellaire Facial, Oral & Dental Implant Surgery, we are dedicated to providing exemplary care. 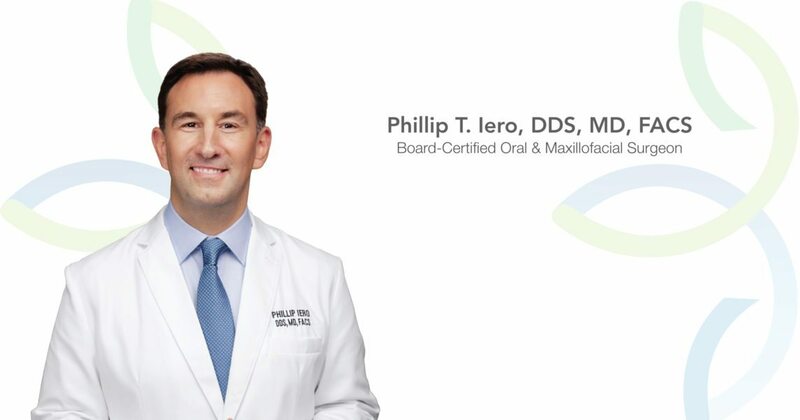 As a dual-degree, board-certified oral surgeon, Dr. Iero is highly qualified to perform the full scope of oral and maxillofacial surgery. He offers a wide range of treatments, including a variety of cosmetic services. Whether you need a simple tooth removal or facial filler or a more complex treatment, such as corrective jaw surgery, Dr. Iero can provide the solution you need. Our team cares about your safety, your comfort, and your treatment goals. We take the time to get to know you to ensure we can provide everything you need to feel at ease. We also strive to always provide optimal results so that you leave our office satisfied and with a smile on your face. Dr. Iero and our team are qualified to work with and monitor all forms of anesthesia. We take all the necessary steps to make sure you’re both safe and comfortable, even bringing in anesthesiologists when necessary to help you feel completely safe. We provide you with all the information you need, and more, before your treatment. Our site is designed to cover every aspect of treatment, from instructions regarding both pre- and post-operative care to patients’ stories about the experience at our office. We encourage you to contact our office if you need oral surgery. Our team is happy to answer your questions and schedule your consultation with Dr. Iero.